Nautical patriotism is on display with the American Ahoy Pillow. 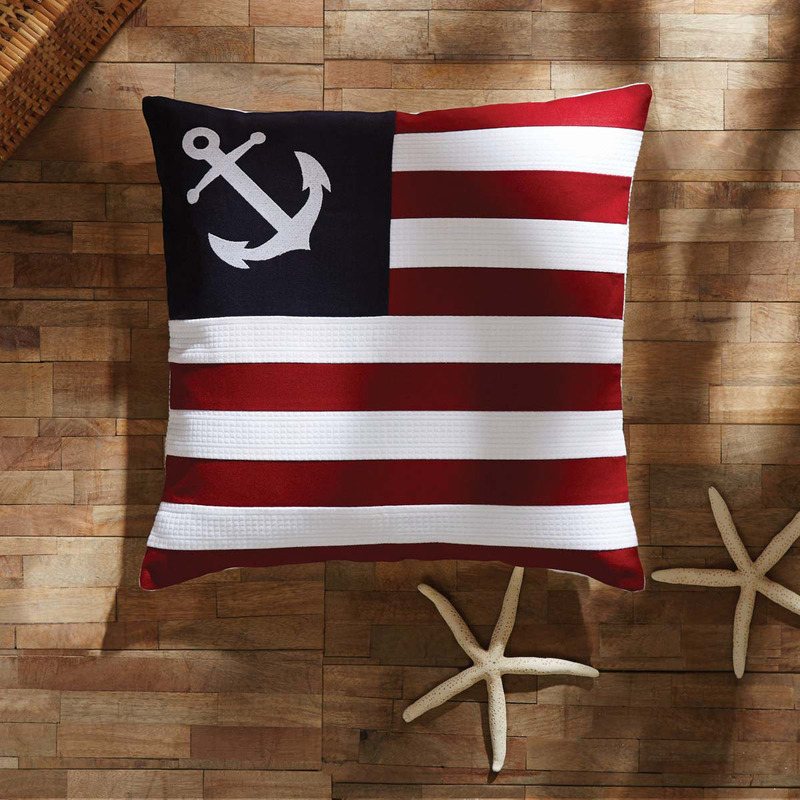 Bright white soft matelasse cotton with crimson applique stripes, and a navy applique in the corner with an embroidered anchor completes the look. Reverses to a solid white with button closures.